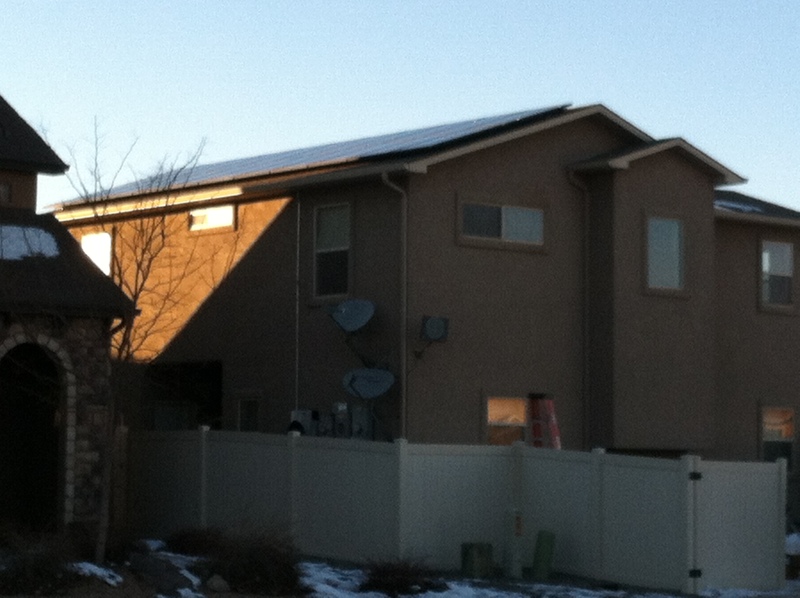 12.48kW DC 52 Trina Solar TSM-240Watt modules and 2 SMA SB500US. 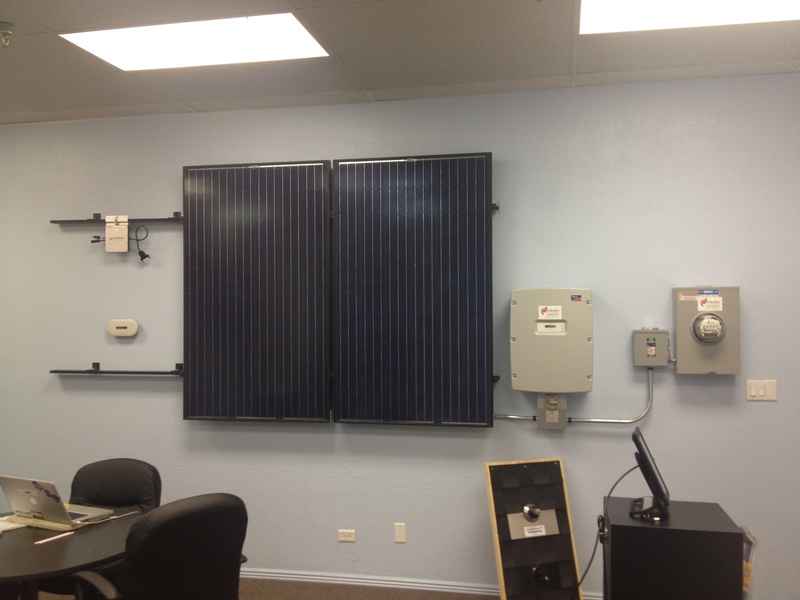 9.36kW DC 39 Trina Solar TSM-240Watt modules and a SMA SB-5000US and a SB3000US. 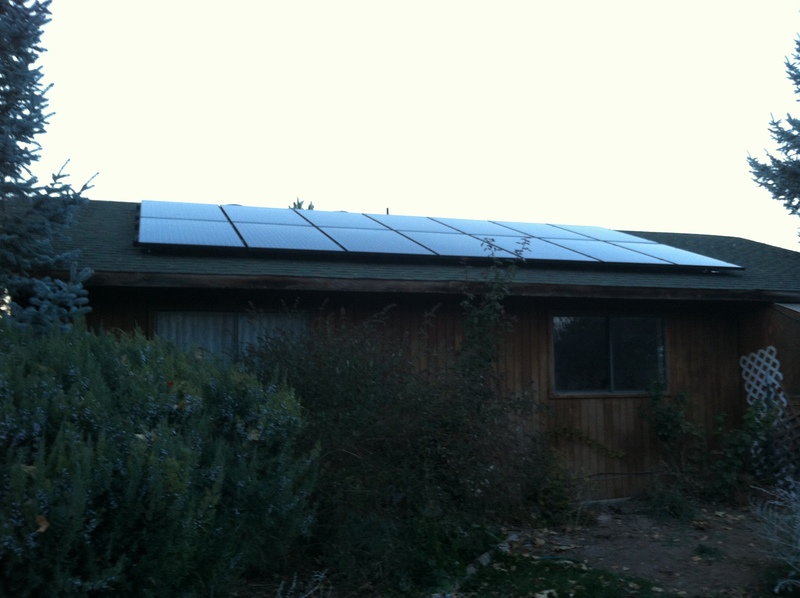 5.28kW DC 22 Trina Solar TSM-240Watt modules and a SMA SB-5000US. 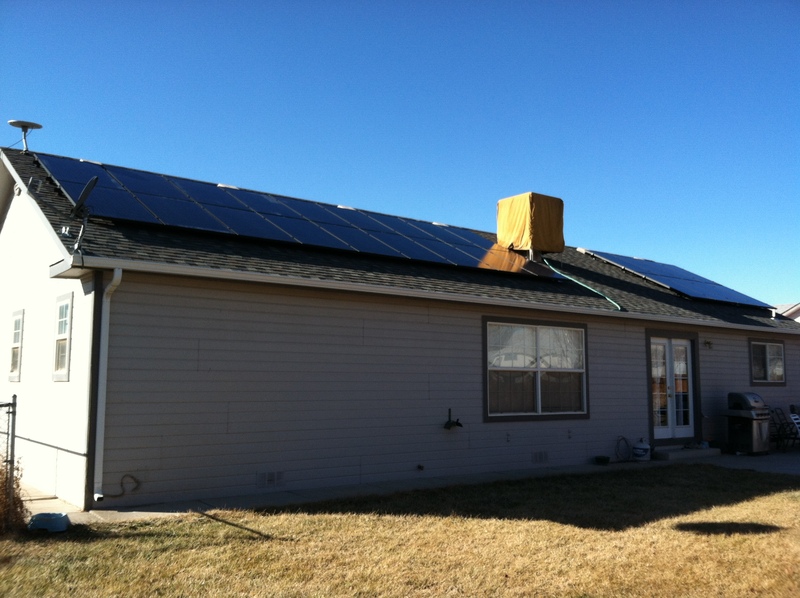 12kW DC 50 Trina Solar TSM-240Watt modules and 2 SMA SB-5000US. 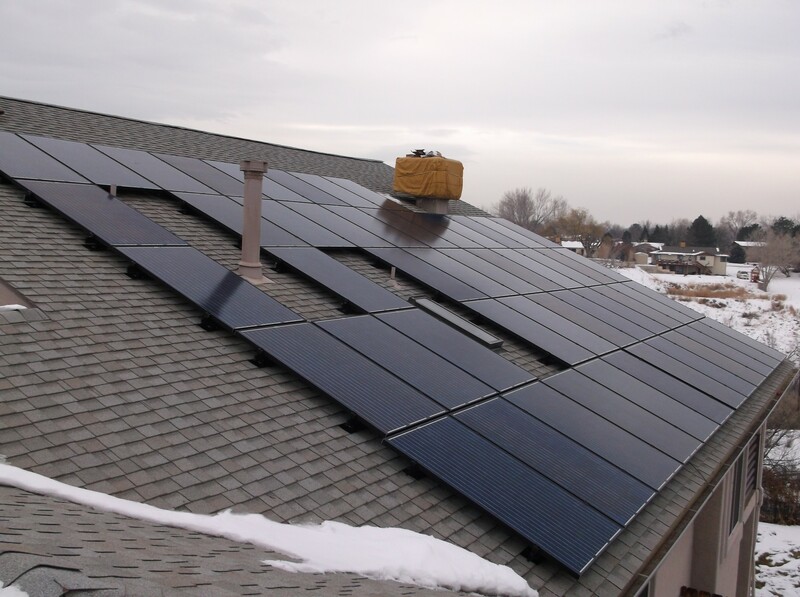 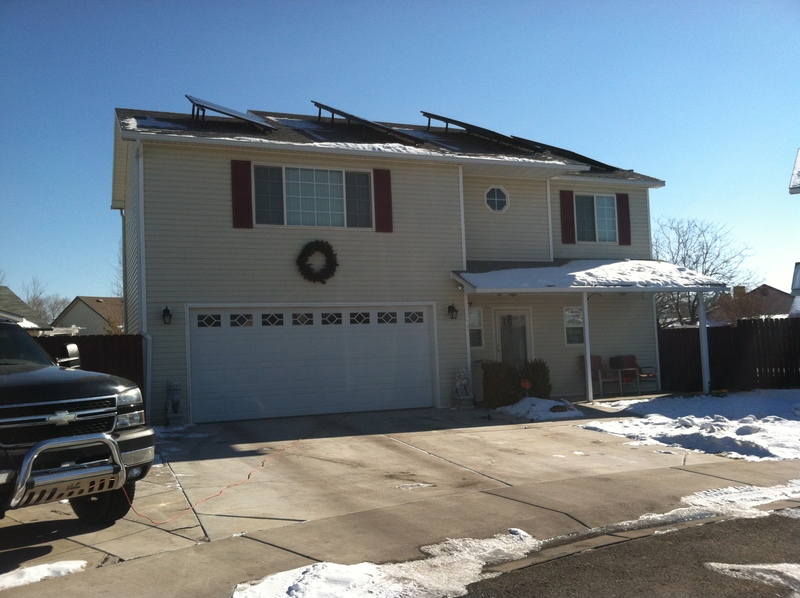 This is a demo we installed for Syndicated Solar at one of there new locations at the Mesa Mall in Grand Junction. 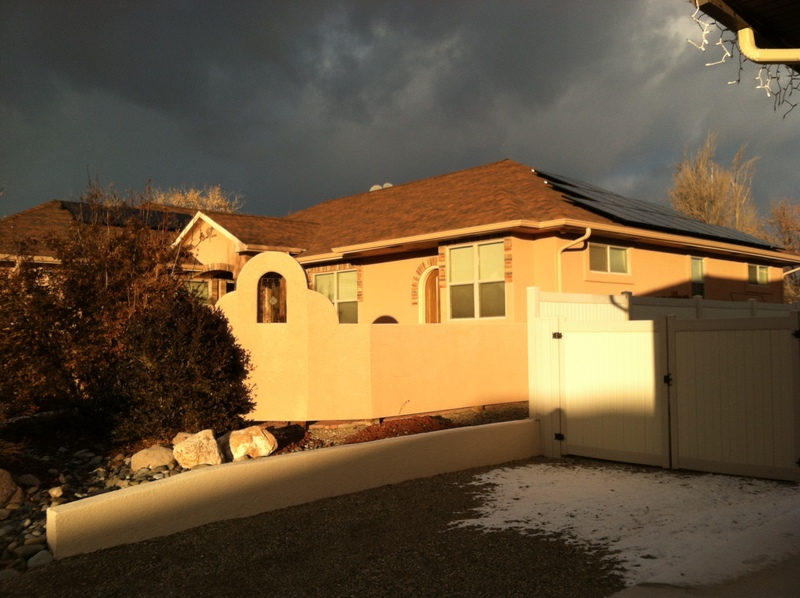 3.36kW DC 14 Trina Solar TSM-240Watt modules and 14 Enphase M215. 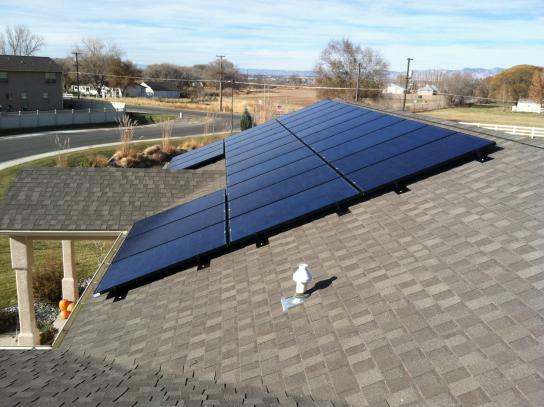 4.56kW DC 19 Trina Solar TSM-240Watt modules and 19 Enphase M215. 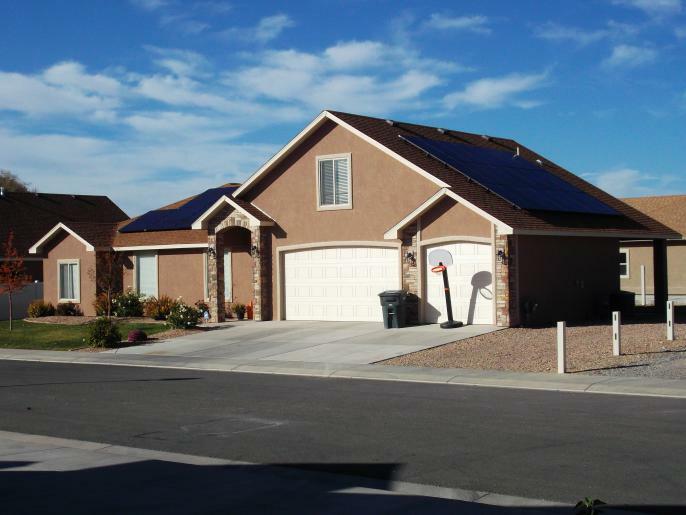 9.36kW DC 39 Trina Solar TSM-240Watt modules and 39 Enphase M215 Micro-Inverters. 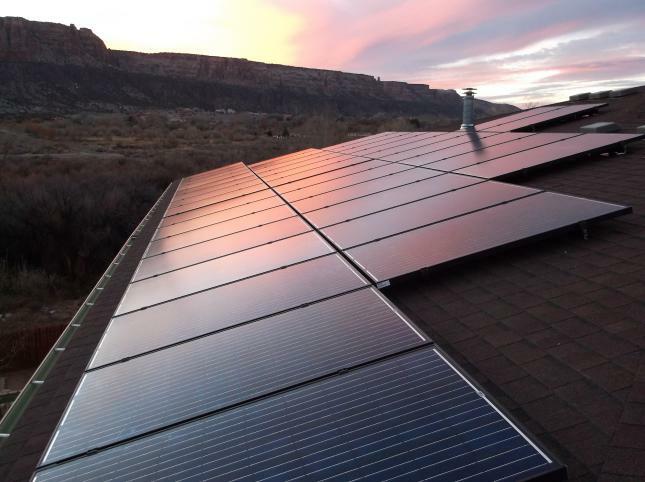 8.88kW DC 37 Trina Solar TSM-240Watt modules and 37 Enphase M215 Micro-Inverters.